We’re working together to keep America on the move. 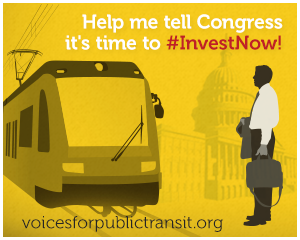 We need more voices to speak out for investment in public transportation. Help us bring more people into our movement. Social media is a great way to promote public transportation. You can share news, raise questions, and offer your views — and get others involved. Be open to connecting on social media with others who share your support of public transportation. Be Social. Listen and respond to others. Conversation is one of the best tools to raise awareness and create buy-in from others — online and in the real world. Keep is Short. Social medial isn't the place for long essays. Make your point fast. Be Respectful. If you disagree with someone, be respectful as you offer your views, and be thoughtful about posting on other people's timelines or pages. Real change begins in local communities across the nation. Neighbors talk over the fence. Families gather for a potluck dinner. Local groups pass out information at community fairs. There are many ways to build support for public transportation, even if you're just one person. Have a conversation. Ask questions, share views, and listen closely. Remember to converse with people rather than talking at them. Share Facts. We have solid facts behind our arguments for improving and expanding public transportation. Share information you learn from our Public Transportation Matters page. Newspapers, community weeklies, neighborhood newsletters, and local blogs are all places where you can raise awareness about public transportation and Voices for Transit. You can submit your own op-eds, letters, or guest posts, as well as enourage reporters, columnists, and bloggers to write about the need to improve and expand public transportation. Follow Guidelines. Most news outlets publish guildelines for submitting letters, opinion pieces, event information, and more. Follow them! Make it Local. How does public transportation benefit your community — and how will improvements make it better? 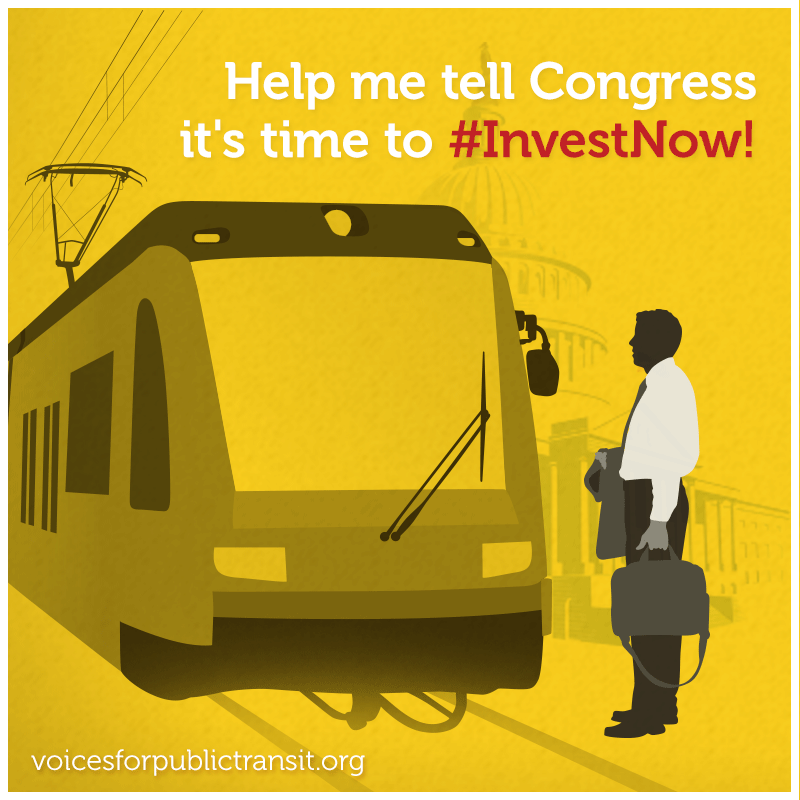 Share your ideas about how public transportation effects where you live and work. Support Your Position With Facts. Draw on information from our Public Transportation Matters section or gather additional information online to support your points. Be An Ally to the Media. Reporters, bloggers, and editors usually welcome community input. At the same time, remember to be courteous, follow guidelines, and respect their time. What do you call a bumper sticker for the online world? A websticker. 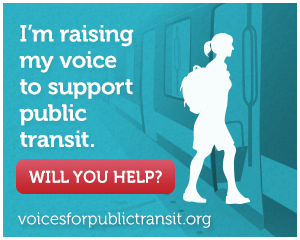 We've designed several webstickers that will help you show your support for public transportation: on your website, your blog, or in emails. 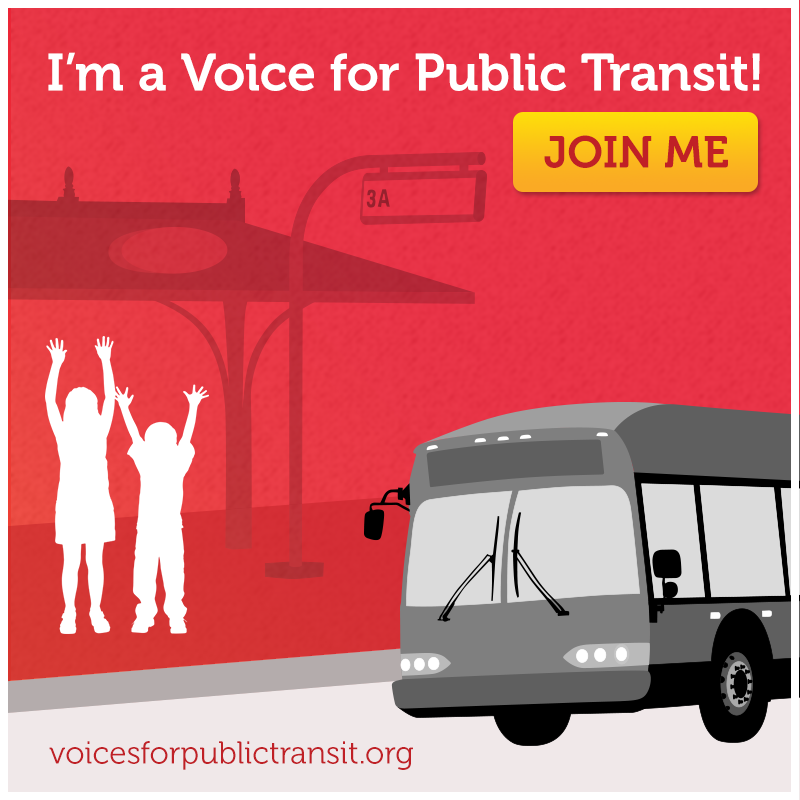 These webstickers link to the Voices for Transit website so they will help you attract others to our movement. Handle Code Carefully- You place webstickers on blogs and websites by copying and pasting HTML software code into a widget on your blog or website. It's best and easiest to use all of the code. Okay It With Your Boss- Many businesses support public transportation because it benefits their employees, customers, and community. A business website is a great place for a websticker, but make sure you are authorized to put a websticker on your company's site. NAPTA—the National Alliance of Public Transportation Advocates—is the umbrella coalition of community transit organizations in the U.S. Transit advocacy leaders from all around the country participate in NAPTA. A lead sponsor of Voices for Public Transit, NAPTA supports engagement between community organizations, public transit systems, and government leaders. NAPTA Resources - Find transit facts, transit-related events, and tips for traveling on local transit systems. Tools & Calculators - Measure the benefits of public transit, including how much money you save by riding. Join NAPTA - Learn more about enrolling your local public transit organization in NAPTA. As a NAPTA member, you’re invited to quarterly strategy calls, local organizing events, and the biennial Transit Initiatives and Communities Conference. 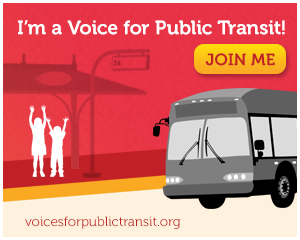 Invite your friends, family, and others to join our nationwide movement of Voices for Public Transit. 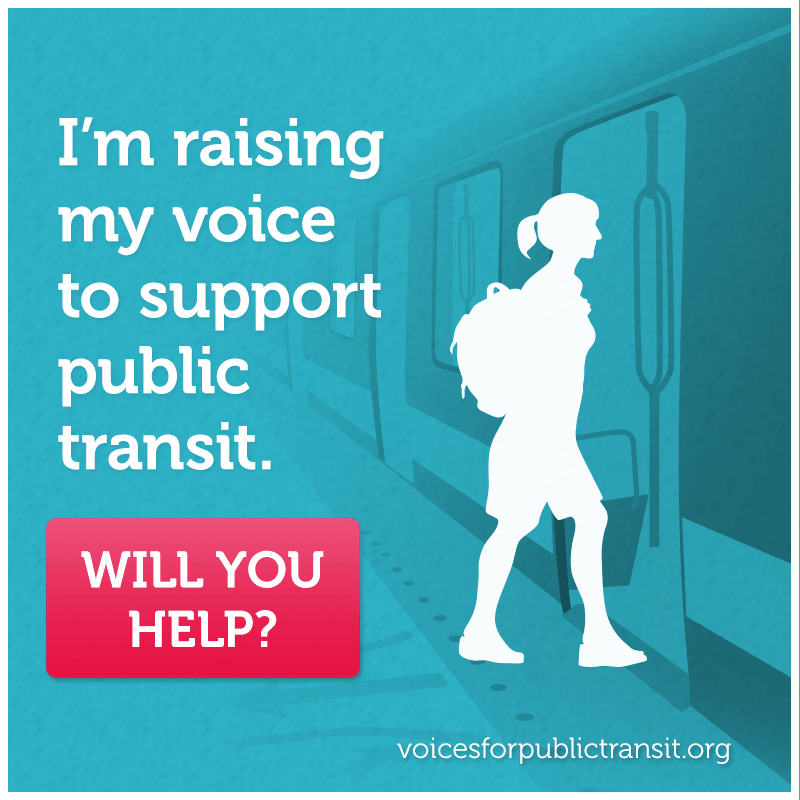 Voices for Public Transit is a nationwide citizens movement dedicated to supporting public transportation that benefits all of us.